Valentine's Day is just ahead, and if you're working in an office environment, we thought these tips may be helpful. Even though the modern office is a less formal place nowadays, there are certain "rules" that are best observed to prevent unwanted effects. An office romance attracts attention from your colleagues. Sure, the ones you're friends with will understand and won't make a lot of it, but don't be surprised if you and your partner become the topic of coffee break talk. It's probably best if you don't emphasise your romance in front of colleagues too much. Avoid smooching at work, it may make others uncomfortable. It's enough that they know and don't object to your romance. The next portion might interest you if you're a woman at the office. 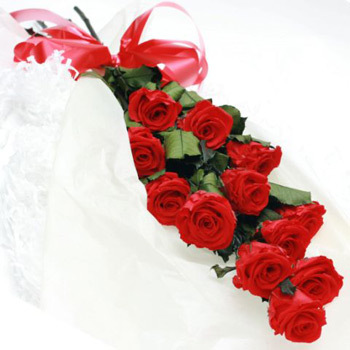 With Valentine's Day coming, signs of romantic thoughts will condense in form of flowers and gifts. It's Valentine's Day, sure, and it would be nice to be on someone's mind, but if you don't get a bouquet, don't make a lot of it, you'll get one later. If you're single, stay glamorous, do your job well, but be inspiring and free. Your colleagues will be envious of your freedom, and will enjoy your presence. Not only will you experience the joy of giving, but you will probably make someone happy. Remember them on Valentine's Day, send them flowers or a small gift, and take five minutes to chat with them. Blogger, Zerin Hassan, says: "I like to get everyone in the office involved in the celebrations. This is something that doesn't have to be too difficult or costly. As an example, I sometimes bring cupcakes into the office to bring a little Valentine's Day cheer!" For more ideas see this valentines piece. The best part of the day is after work. Plan to do something self-indulgent. You'll have something to look forward to, and your mood will reflect that. Go have Valentine's drinks or something, have fun. Maybe you'll meet someone who is interesting and inspiring, worthy of your time and attention. This may be proper for all the men at the office. Order single roses for every lady that works at the office. It would be a great surprise and will bring the Valentine's Day atmosphere to the office. Every woman deserves a flower, so c'mon guys, get a move on. Contact us and arrange for a surprise flower delivery on Valentine's Day. You'll be looking at smiling women all day! If you want to order an individual delivery for your loved one on Valentine's Day, visit our retail site and check out Valentine's Day flowers and gifts made especially for this year's celebration of love and romance. Just having office flowers will brighten up the place for everyone!